Sarasota Scullers Youth Rowing Program entered 16 boats and earned 13 medals. 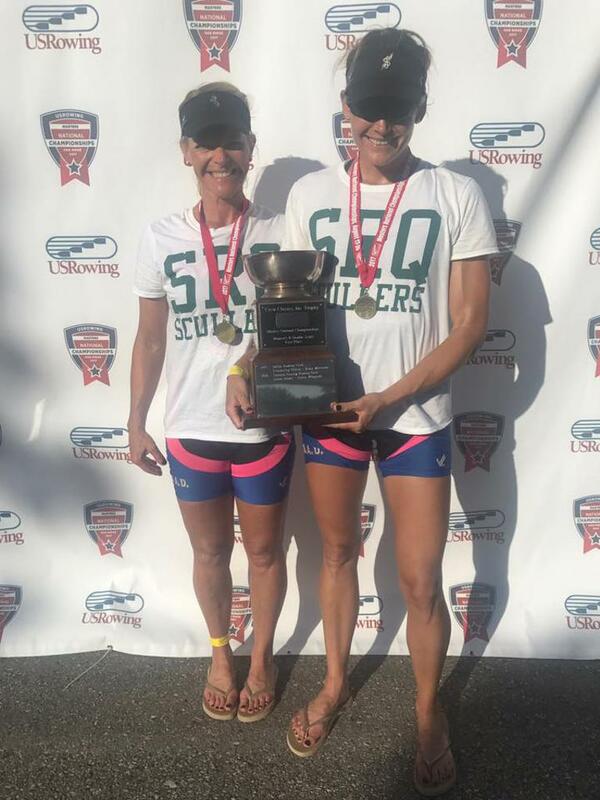 Sarasota, FL- The Sarasota Scullers made themselves well known at the 2017 USRowing Masters National Championships being held at Melton Hill Lake in Oak Ridge, Tenn. Sarasota Scullers’ Board Member Karen Wiegandt and Sarasota Scullers’ Head Coach Laura Corbett-Brown won the 2017 USRowing National Championship Women’s 2x for women in the 36-42 age bracket. The pair went on to compete is the Women’s 2x for women between 27-35. Even though Laura and Karen were competing against younger rowers and just completing a difficult race, the two won a silver for the race. Coach Laura and Karen will compete in 13 races during the 4-day event. With more races on Saturday and Sunday, their medal count could increase.